Perform motor vehicle management support for DOE –owned (Department of Energy) and GSA leased fleet. Compile data for monthly, quarterly, and annual reports for GSA and DOE-ORO. Coordinate preventative and unscheduled maintenance with appropriate vendors. Coordinate and provide delivery of vehicles for maintenance, cleaning, and exchange. Receive vehicle reservations for local and travel requests, coordinate appropriate vehicle to meet request, and assist in the resolution of scheduling conflicts. 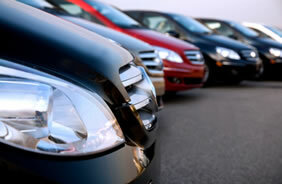 Perform routine inventory of vehicle keys and associated credit cards. Review vehicle credit card receipts and bills for discrepancies and appropriate purchases. Depending on your fleet, you may need all of these fleet management services, or just a few. We are here to help you build that perfect vehicle management program—designed for your fleet only.